I noticed this is the only skunk with "pure" breed, a speed nature, maing this seemingly the best skunk for battle pets. The pure speed nature allows it to move before many other pets w/o a speed breed, to cast perk up or bleat to help support its allies. 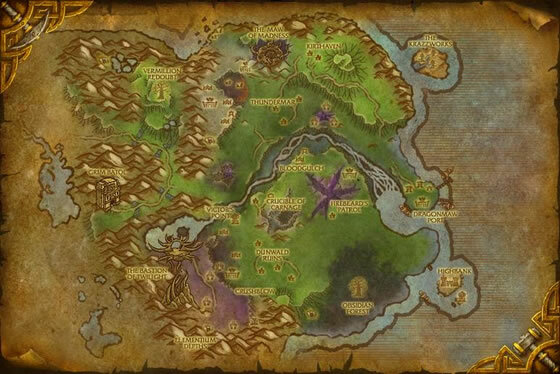 i can say that they are not at all in any zone in Kalimdor due to the fact that it is not on the safari achievement that lists all pets on the continent. 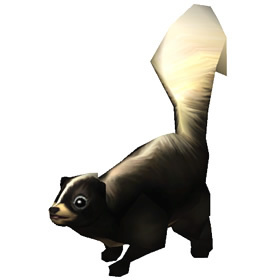 For some reason the pet journal says these guys can be found in all the same zones as the Mountain Skunk - they even share the same description, which makes me think someone must've accidentally copypasted the Mountain Skunk info over to the Highlands Skunk. Don't be like me and desperately look through the zones mentioned in the pet journal, they're only in Twilight Highlands. Found them in Twilight Highlands. I don't think these are in the other zones, maybe mixed up with Mountain Skunk? This ferocious skunk can spray an attacker from thirty yards away, temporarily blinding them. Handle with caution!